Top 9 Ways Of Earning Money Online In 2018! UPDATE We recently published the most comprehensive tutorial on how students can make money online in 2018. Do check it out to master the techniques that have helped people earn millions in 2018. In a world such as today’s, where inflation is on the rise while salaries remain the same, every extra penny can be a blessing. Self-dependence is considered as the ideal situation to be in, especially among the younger generation. Because of the ever rising cost of living commodities and luxuries, more and more people are finding themselves working over-time for some extra salary, looking for better jobs, working part-time to cover their expenses, and so on. Hence, people want to look for alternate or parallel sources of income. And as they say, "where there’s a will, there’s a way". Indeed, there is not one, but many ways you can earn a few extra bucks. Many of these involve working online, meaning you can increase your income while working in the comfort of your living room! Most of my blogger friends would know how they can earn money online through their blogs via monetizing them. But not everyone has a blog, even though creating a blog is as easy as creating a Facebook profile. Maintaining a blog, however, is not as easy. Hence, for such people, there are various other ways through which they could earn an income in 2018. I hope you most of you know what freelancing is. It is basically working for someone else online and getting paid for it. By far, this has proven to be the most popular and most paying alternative to a regular office job. And in many ways, freelancing is better than regular jobs. Firstly, you get to do the work that you choose, so that you have some interest in it. Secondly, there's a wide range of stuff you can do. You can write articles, translate papers, do programming assignments for somebody, or take up large corporate projects as a team. The upside to this is that, you earn good bucks. The downside is, yo have to abide by deadlines. Freelancing is great. It's your own way of saying out to the world; hey! I am independent! I don't need a job! I have a life too! Although technically, you do have a job. But at this job, you can take a nap at anytime and do whatever you want, so long as you do your work. If you want to look into this, you can try 5 Ways To Win A Job As A Freelancer For Beginner. Or take a look at the Top 10 Freelancing Tips. There are many websites out there that are looking for people who would help them in their research and fill out surveys for them. Their aim is to get feedback and do market research on a product. 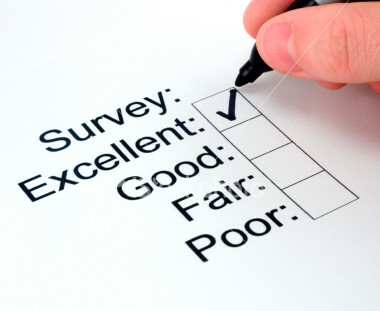 There are website that are dedicated to finding out surveys available for you. 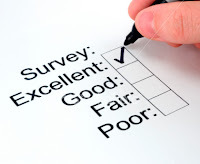 One good example is SurveyScout. 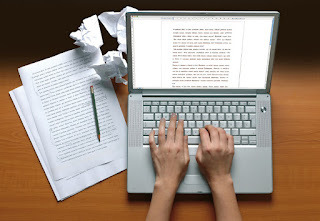 Freelance writing is another great way of earning online. If you like writing, or if you are good at it, then you should consider this. Writing quality articles can earn you thousands of dollars per month. All you need to have is the right focus and of course, a good publishing platform where you can submit your articles. As far as publishing is concerned, you can either self-publish, or submit your article to an article directory. You can either create a blog for self-publishing, or use Squidoo or Hubpages. Click to learn more about earning money through Squidoo. If you don't want to self-publish, you can submit your articles to the top sites that will pay you for them. 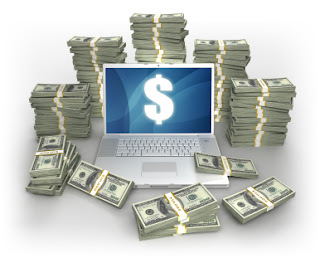 This is one of the best ways of earning online. Be sure never to plagiarize, however. Unique content is appreciated, while plagiarism might result in a ban on you. So be original, and you will be fine. Data Entry is another popular money earning technique used by many people. But I must admit, it is a boring and time-intensive work. There are a lot of companies that want you to do their laborious tasks for them, without hiring a professional for the job. Usually, these tasks are simple. Entering one form of data into a form, organizing data, removing mistakes and errors, and so on. 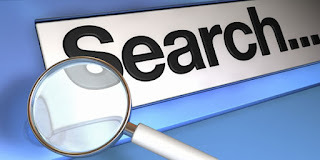 Did you know that you can get paid to search on the internet? No kidding! Since the major search engines such as Google, Yahoo, Bing etc are monopolizing the industry, other smaller engines are left out. So to keep themselves going, they invite net searchers to use their engines, and offer rewards in return. One such company is Swagbucks, that gives you the chance to earn up to $5 per search! It's a neat little trick and I know some people who have started doing this to earn money. Another is InteradMedia, that pays $0.001 per minute of active search. The money isn't very substantial, but what's the harm in getting a few extra bucks every now and then? There's another alternative way! Some website pay you to surf them! SurfBounty is a good one. All you need to do is stay on that site for a few seconds to register a "surf". Sit back as the dollars add up! Sounds great huh? About a month ago, I wrote a post in length about earning money through Skype. You can follow it here: Earn Money through skype. But the bottom-line is, with Skype, you can provide services such as tuitions to other people, and charge them for the call through Skype Prime. Some Q&A websites will pay you to answer questions! Q&A websites are all about question that people ask. People ask all sorts of questions on such websites. So the websites hire people to answer those questions. So if you have a good general knowledge, why not give it a shot? Play games to earn money! Every app developer needs beta testers, who have nothing to do with the development of the apps. This helps them remove bugs and errors. With games, this is even harder.It requires a lot of man hours to test a game. So there are many companies that pay people to play their games, and provide feedback. That way, they can know if the project would be a fail or a success. 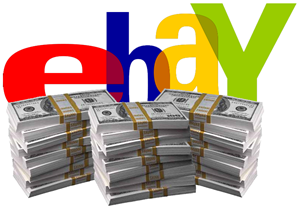 Ebay is an advertising website where people put up classifieds for for things they want to sell, and then buyers contact the seller to purchase that item. If you are good at bargaining, you can take a shot at this. Buy products at a reasonable price, and then sell them again for a profit! This is how real estate works, except in that case, they are dealing with lands and houses and large property.